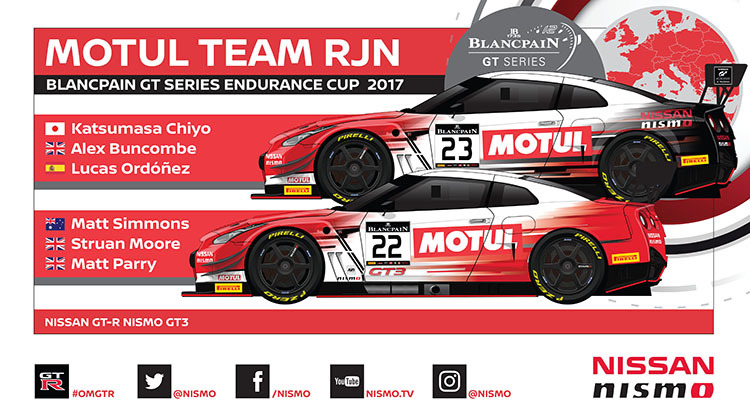 Le CASTELLET, France — The Nissan GT-R has scored a top-5 finish at Circuit Paul Ricard for the second consecutive year, with Lucas Ordóñez, Alex Buncombe and Katsumasa Chiyo leading the charge for Motul Team RJN. The teams of the Blancpain GT Championship Endurance Cup had to deal with blistering heat all weekend in the south of France. The team even installed a blow-up pool in the paddock for the drivers to cool off between stints. 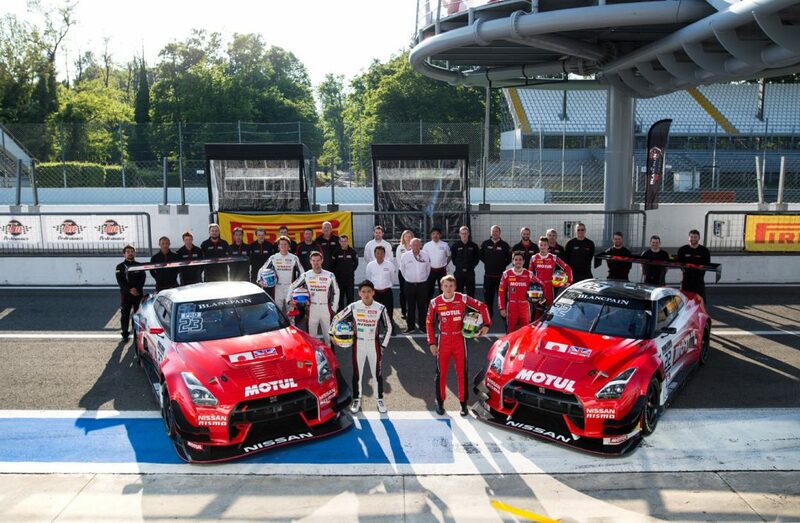 While both Nissan GT-Rs were disappointed after qualifying, the No. 23 entry of factory aces Ordóñez/Buncombe/Chiyo and the No. 22 car of Matt Simmons, Matt Parry and Struan Moore performed better in the race. The No. 22 GT-R qualified 25th and initially fell back in the field before beginning its march forward. The No. 23 GT-R, which started from 32nd on the grid, made it to the top-10 by nightfall. Simmons, Parry and Moore just missed out on a top-10 finish, crossing the line in 11th. For former Nissan GT Academy winner Simmons, it was the most impressive weekend yet of his Blancpain GT career. The No. 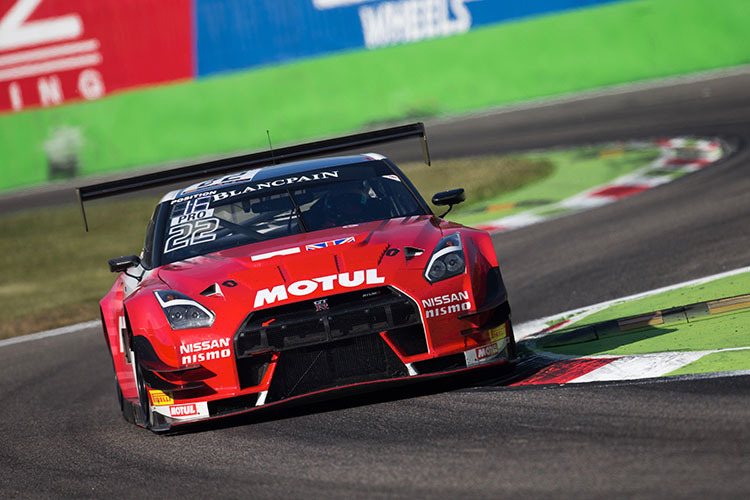 23 Nissan GT-R NISMO, which engaged in a fierce late-race battle for a podium spot, eventually finished fifth — the same result the team scored in 2016. “We’re really happy with the result,” Ordóñez said. “After starting 32nd we really didn’t think we’d be near the podium, but to end up fighting hard in fifth is a fantastic result. It is our first points of the year and this was great preparation for the Spa-Francorchamps 24 hours, which is the big race of the season.